We have translated this homepage for you into English. At the end of the page you will find the contact address for foreign countries. What is an 'activity' and what is an 'excursion' ... ? The Activity takes place at a certain location. For a planned Activity click on ''O klubu'' (About our Club ) >> ''Akce'' (Activity) 2017. The Excursion is an event where you move from A to B. 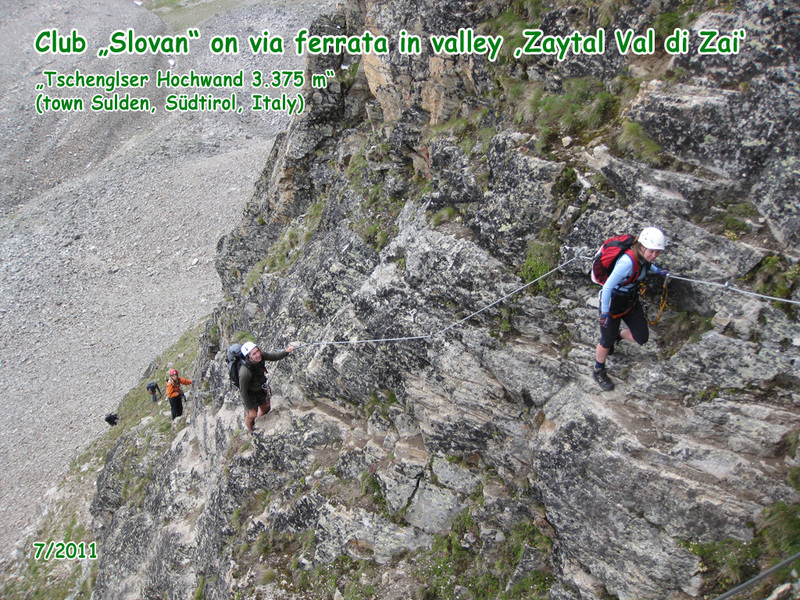 For planned excursions click on ''Výlety'' (Excursions) >> ''Rok'' (Year) 2017. 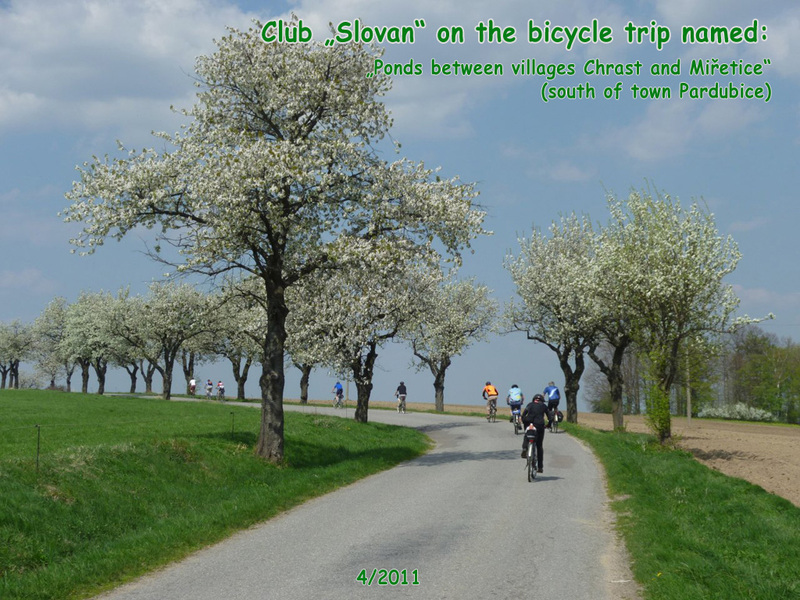 The main activity of the Slovan Club is the organization of excursions on foot or by bike. The transport is usually being done by bus or by train. 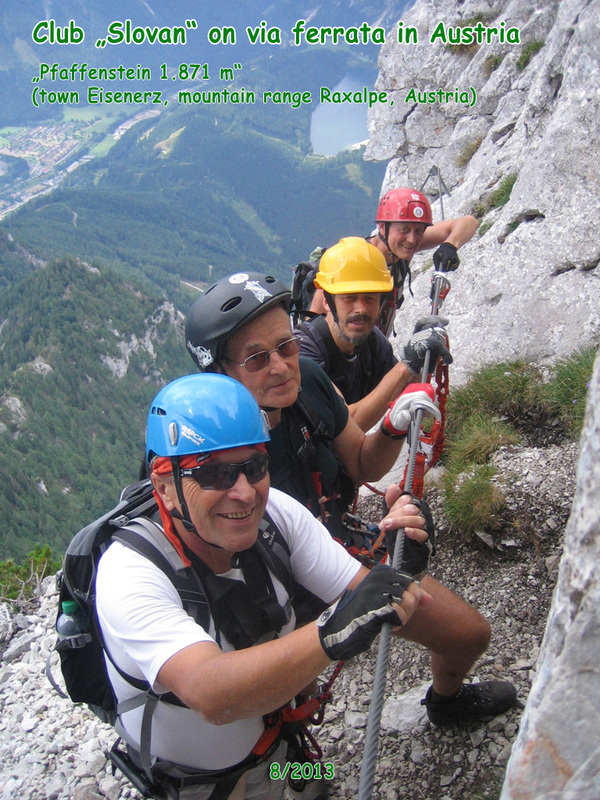 In summer we mainly do alpine tourism (500 m to 1500m difference in altitude daily), including fixed rope routes (or via ferrata) and climbing in the nature. In winter we organize cross-country excursions. 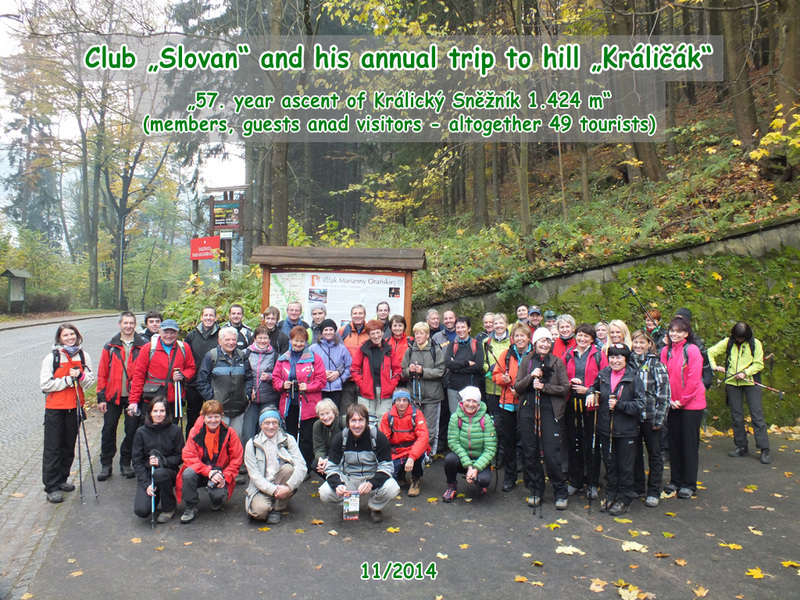 Our club was founded in 1951 and this year we counted 175 members including 9 guests. 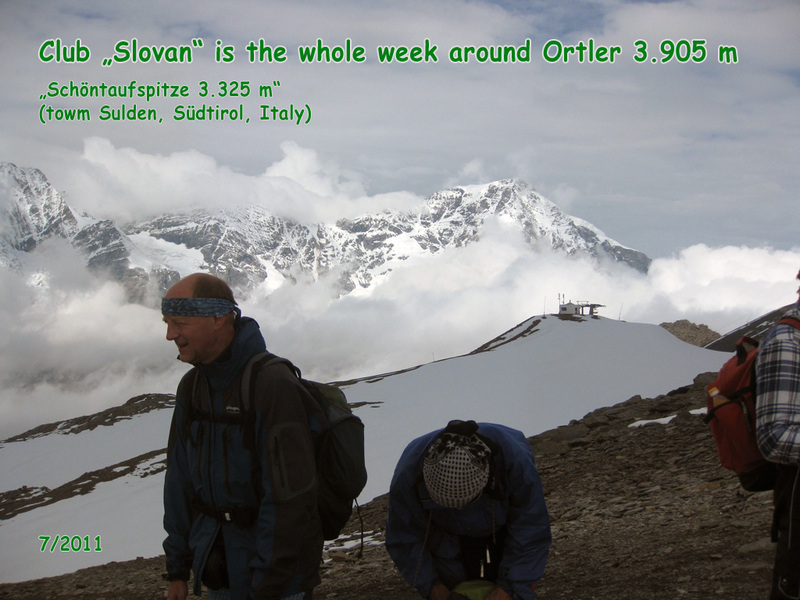 Our club is registered and organized by it´s own statutes at the Ministry of the interior. Our annual subscription including obligatory fees to the head office and the regions are minimal - related to the fun you will have throughout the year (4,- €/year for children and adolescents)! With our family card e.g. you only pay 0,20 €/year in addition for one child, granddaughter or grandson up to 26(!) years! 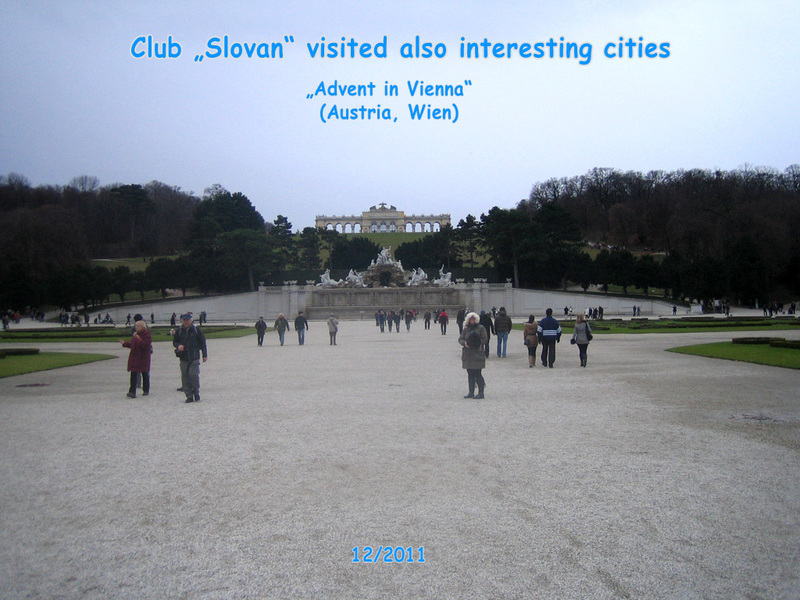 Excursions of Slovan are being organized by qualified and censored leaders and trainers. Children and students that are registered in club (up to 26 years) only pay half for the bus transport on our excursions. 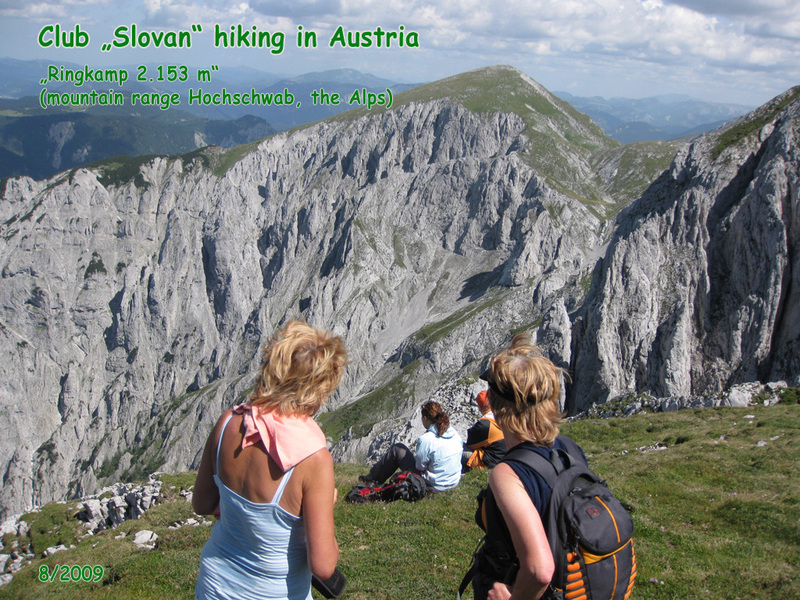 The highlight of every season since 1962 are the well prepared week excursions of walks and alpine tours, but also mere recreational activities, which we undertake in the Czech Republic, as you can see this at the photo gallery ''Giro d' Burčák'' (''Giro d' new wine'') as well as in the near foreign country as you can see e.g. 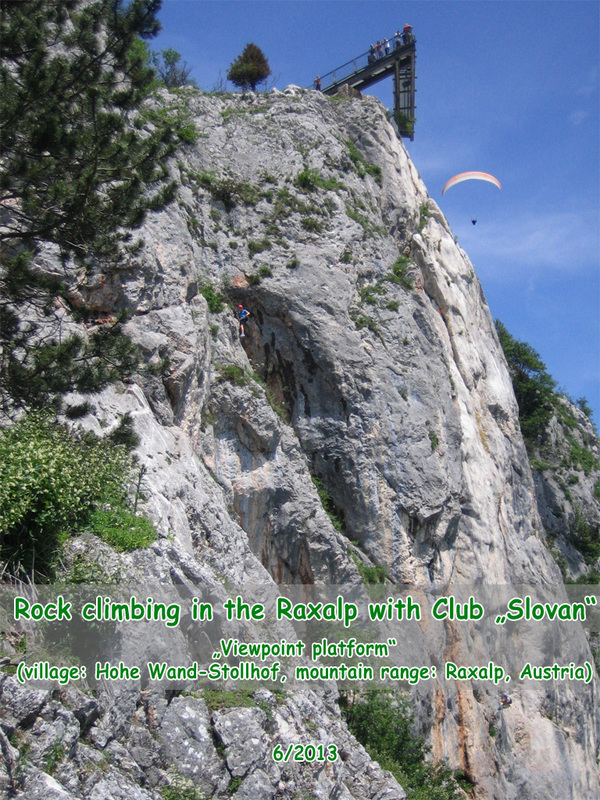 at the photo gallery ''Raxalpe 2014''. We also plan city-trips. 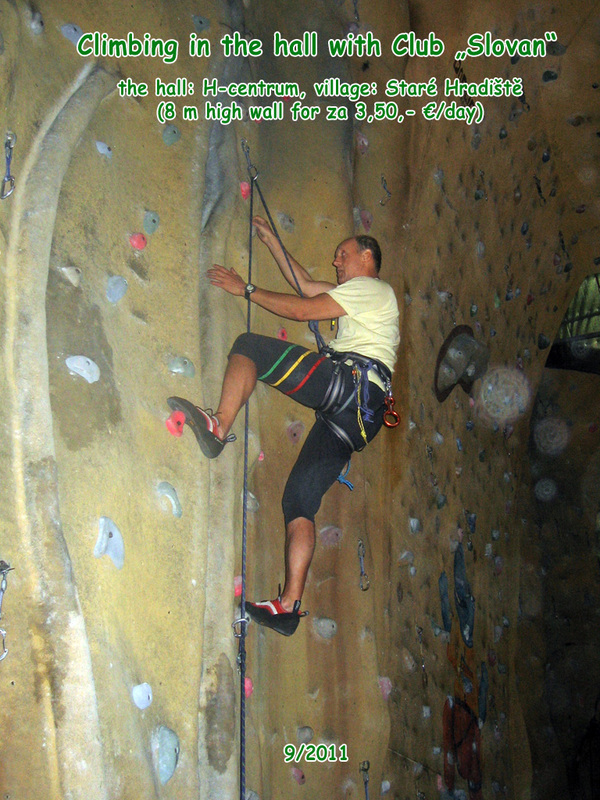 In winter we contain our fitness with climbing in halls in summer we preserve it with climbing in the open air. 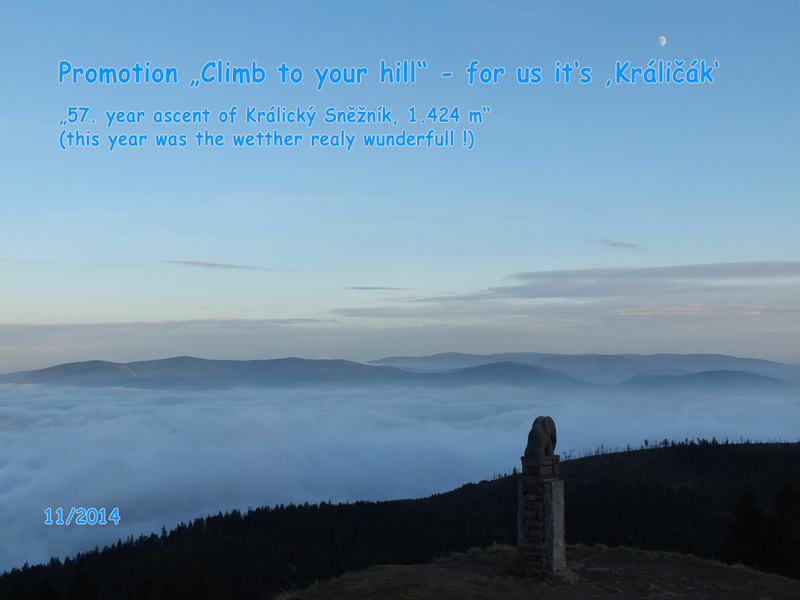 Since 1958 we are organizing one of the oldest walking-tours that is being repeated annually in the region of Pardubice: it is the ascent of the mountain Kralicky Sneznik. In 2014 we did the 57th time. 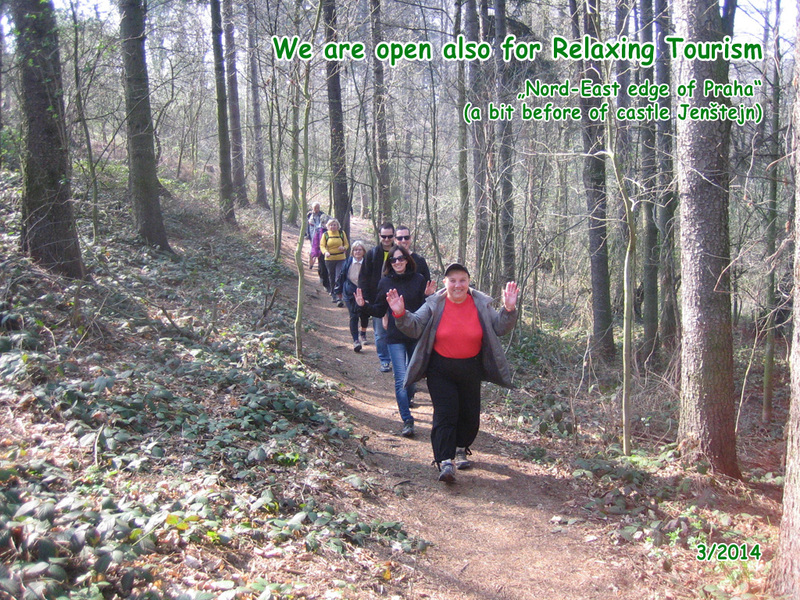 Since 2009 every New Year´s Day we´ve been organizing under the custody of Slovan Pardubice one of the oldest excursions in the Czech Republic. 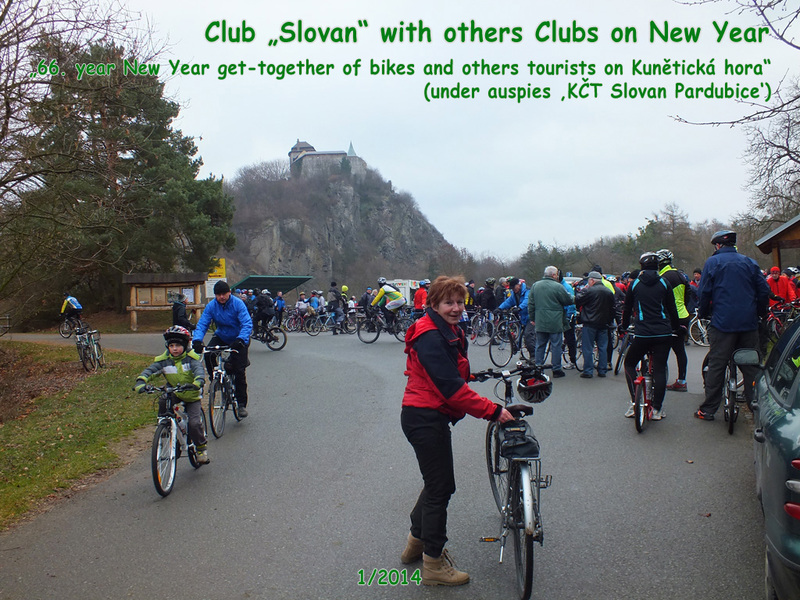 It is the so called ''New Year´s Meeting for bikers and other tourists on Kuneticka hora''. This had been held since 1949 without interruption and in 2014 it was repeated for the 66th time. 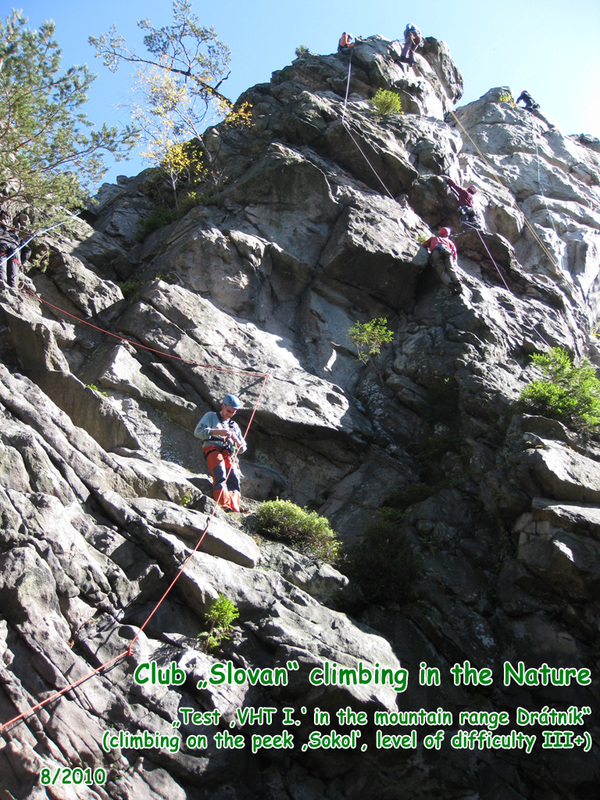 Every participant of the club-excursion is insured by the Certificate of insurance at ''Pojišťovny VZP, a.s.''. 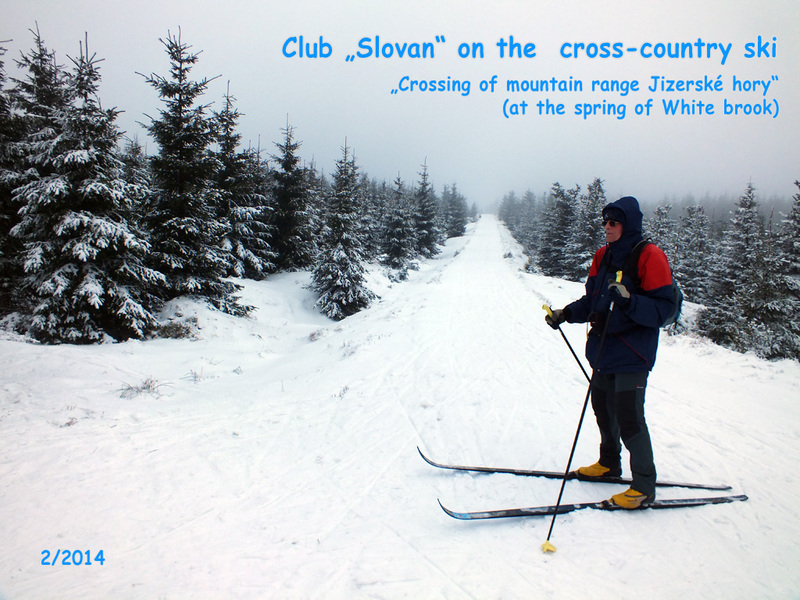 This is possible through the membership at the Czech Olympic Committee (in czech ''Český olympijský výbor'').